1914, Carl Lody arrives in Edinburgh. His mission? To spy on ships in the Firth of Forth. Carl Lody arrived in Edinburgh on the 27th August 1914. To the world at large he posed as an American tourist, Charles A Inglis. But he had been sent as a spy by the German authorities. Lody had been instructed by Germany to report back on British shipping and any losses resulting from battles at sea. From his Edinburgh base, Lody began to send reports about activity in the Firth of Forth back to Germany – via Sweden. Crucially for Lody, the Stockholm address to which his letters and telegrams were sent was known to British Intelligence and his communications were intercepted from the start. Over time, the Edinburgh family with whom Lody was lodging began to be suspicious of him when occasionally his native German accent slipped through. Fearing discovery, in late September, Lody travelled to Dublin by boat. But he was arrested by police at a Dublin Hotel and then sent to London to face a court martial on charge of war treason. 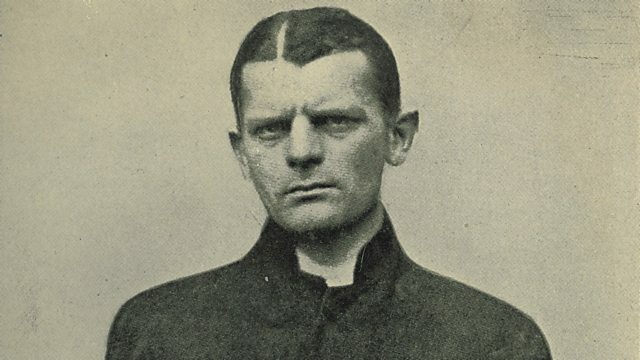 The evidence against him was overwhelming and on the morning of 6th November 1914, Lody was executed by firing squad within the walls of the Tower of London. He was the first person to have been executed there for 150 years.